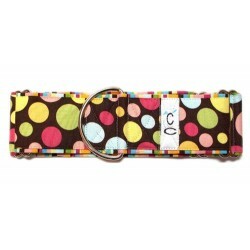 Your pup will look so stylish in this chic collar by Diva Dog. The collar comes in a classic a..
Beautiful Autumn colored dog collar for your pup. This martingale is engineered to prevent "sti.. Check out this gorgeous leather Aqua Blue collar with genuine Swarovski Crystals for your pup! &n.. This beautiful Black collar is handcrafted to last with genuine leather and Swarovski Crystals! &.. Fancy & Fabulous! Handcrafted in the USA with genuine leather and Swarovski Crystals! ****MEASURE ..
Fabulous and handcrafted with genuine leather and Swarovski Crystals! ****MEASURE YOUR DOG'S NECK ..
Beautiful genuine leather with Swarovski crystal adornments!! ****MEASURE YOUR DOG'S NECK - THE NU.. Deep Emerald Animal Pattern.......................stunning! ****MEASURE YOUR DOG'S NECK - THE NUMB..
Won't your DIVA look GREAT in this awesome BB Simon collar made with genuine leather and Swarovs.. Pretty Fuschia Dog Collar! Handcrafted with genuine leather and clear Swarovski Crystals! ****MEAS.. Chic handcrafted leather dog collar with jet black Swarovski Crystals! ****MEASURE YOUR DOG'S NECK..
Gorgeous! Beautiful Bling Bling! Handcrafted leather and Swarovski Crystals! ****MEASURE YOUR DOG..
Beautiful, handcrafted, genuine leather dog collar with clear Swarovski Crystals! ****MEASURE YOU..
Beautiful handcrafted collar with Swarovski Crystals.............this collar will only enhance your ..
Adorable & Fun! Lots of bling and made to last with handcrafted italian leather and Swarovski Crysta.. This fun & fancy Pink Animal Pring dog collar is made to last in the USA!! Handcrafted with genu..
Fabulous in Red with Jet Black Swarovski Crystals!! ****MEASURE YOUR DOG'S NECK - THE NUMBER YOU G..
Bling Bling! What a fantastic collar for your doggy! Made in the USA with genuine leather and Swarov..
Nice Italian Leather Dog Collar in a crackled tan with jet black Swarovski Crystals! ****MEASURE Y..